Due date for filing your income tax return has been specified by IT department for different assesses based on their nature of income and complexity of books of accounts. Due date for income tax return filing is 30th November 2013 where an assessee is required to furnish a report under section 92E in form no. 3CEB pertaining to international transactions. For companies being a private limited company or public limited company registered in India and not having any international transactions are required to furnish there income tax return on or before 30th September 2013. If the companies as discussed above are having any international transaction then due date for filing will be 30th November 2013. Any assessee whose accounts are required to be audited under IT act or any other act like companies act then the due date of IT filing is 30th September 2013. If you are a self employed person and required to get your accounts audited under section 44AB of IT act then the due date for filing your income tax return is 30th September 2013. If you are a partner of a partnership firm and the accounts of the firm are required to be audited under any law like under section 44AB of IT act then the due date of filing your income tax return is 30th September 2013. In case of salaried person or a self employed person whose accounts are not required to be audited under any law or a person not covered under any points discussed above, has to file there income tax return before due date of 31st July 2013. The due dates are sometimes extended by IT department. 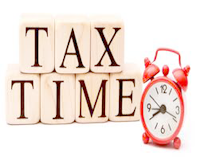 If the IT returns are filled within such extended time then the income tax return will be treated as if filled within the due date of filing income tax return. Where the last day for filing income tax return is a day on which the offices are closed, the assessee/person can file the IT return on the next day following the due date on which the office is open and in such cases the return will be considered to have been filled within the specified time limit. If the offices are kept open on the last day even though the due date is a holiday then such returns has to be filled on such date instead of filing on the next day. This is applicable only when you file your income tax return in paper format.